Trying to find alternative things to do in Dubai? We’ve covered some of the more exciting things to do in Dubai that are slightly off the beaten track. Swimming with sharks? You must be joking. Ski Dubai has to the most alternative way to spend a day in Dubai. This indoor ski centre in the Mall of the Emirates covers 22,500 square metres with an 85 metre high mountain and 5 ski slopes of varying difficulty. The slopes are covered with about a metre of snow and to carry you up the slopes there are chair lifts and tow lifts. Ski Dubai is kept at a comfortable temperature of -1º to -2º C which is a vast difference to the baking heat of the city outside. In case you are worried about what to wear you will be pleased to know that winter clothing is provided along with ski or snowboard hire in the admission price. For snowboard fans there is a permanent quarter pipe area and in the Snow Park everyone can enjoy the toboggan runs, ice cave and giant snowballs. To add to the wintry fun there are random snow showers and the friendly penguins are let out several times a day and penguin cuddles can be arranged. To get warm pop into the St. Moritz Café or the Avalanche Café for some hot chocolate, or maybe something stronger! Forget sunbathing on all that sand, use it for the exhilarating sport of sandboarding. Book yourself on a trip by 4WD and travel across some of the beautiful dunes surrounding Dubai. Similar to snowboarding but without the speed this is a great way of spending a few hours. Be prepared to get hot and sandy as whizzing down the dune is great fun; but you have to climb back up again! Sand boarding is one of the most fun things you can do in Dubai. This spacious park proves that there is more to Dubai than just the concrete jungle and desert surroundings. The main entrance to this shady park is from the Al Garhoud Bridge and inside there are walkways, botanical gardens, barbeque areas and an amphitheatre. Creekside Park is a pleasant alternative in Dubai away from the traffic and frenetic pace of city life and a great place to spend a day and there is plenty to do for children and adults. It is a very popular spot for picnics and to save walking round in the heat there are bicycles for rent and also a little train. The Dubai Cable Car station is in Creekside Park and the half hour ride will take you 30 metres up in the air where you can see the city, the desert and across to Dubai Marina on a clear day. In the early part of every year the Dubai Shopping Festival is a month long major event in the city and many events happen in Creekside Park, which is also an excellent place to view the nightly fireworks from. These beautiful and majestic birds are considered royal birds and to see them flying is a treat for anyone, not just wildlife lovers. 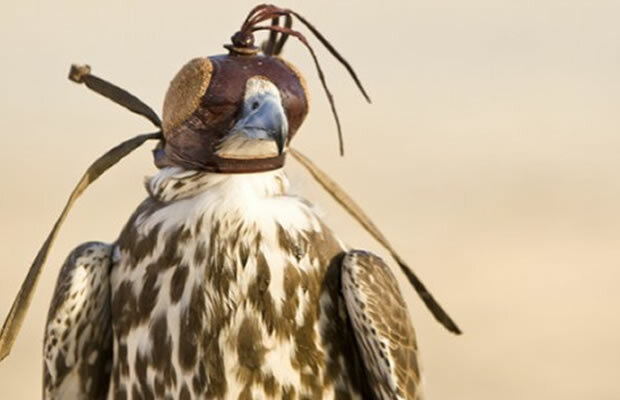 The sport of falconry has been practiced in the Middle East since 3500 BC and is mentioned in the Holy Koran as a permitted way of hunting. Fifty per cent of the world’s falconers today are in the Middle East and the sport teaches endurance, patience, bravery and self-reliance which is learnt from the birds. If you are trying to find things to do in Dubai, this is an amazing trip out into the Dubai desert and a real alternative to the usual shopping and sightseeing tours. You will be met by a Falconry expert who will give you an introduction into not just the falcons but other birds of prey. Some tours offer the chance to visit the camp where the birds are housed and the workshops where the birds are weighed, their talons trimmed and their beaks taken care of. Afterwards there is around two or three hours spent flying the falcons where you can participate and feel the thrill of one of these magnificent birds landing on your hand. If you love early mornings book on the 5.30am tour and catch the sunrise; if not there are sunset tours at much more sociable hours! This is an alternative area in Dubai where everything is bustling, noisy and real life, not the city portrayed on the cover of a glamour magazine. The wide main street was officially renamed 2nd of December in 2011 but is often referred to by its old name of Al Diyafah. It is lined with shops, restaurants, souks and best of all pavement cafés where you can sit and watch the world go by while sipping an ice-cold fruit juice. Unfortunately it is not traffic free but this is more how Dubai used to be before skyscrapers took over and it is exciting. The smells, the clamour and the atmosphere are a real part of the reason for visiting another country that everyone should experience. 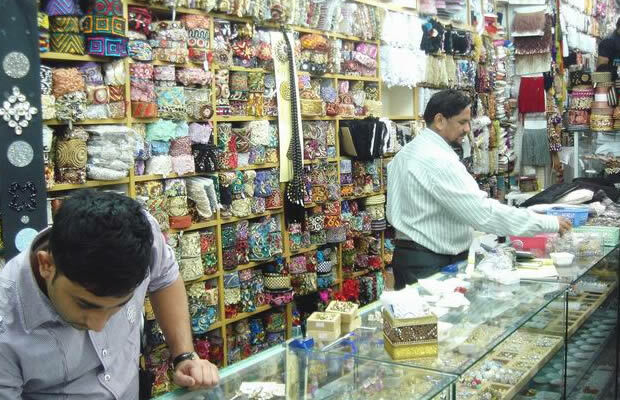 Barter for gold jewellery with snaggle-toothed old men or choose from the myriad of fabrics on sale and have a dress or suit made up for you is just a few days. There are shops full of ribbons and bows and others with dusty books, textiles and plants that promise to cure all ills. The pavements are clustered with goods all just begging to be examined as you stroll through this exciting area of Dubai. This is the area of Dubai that is known for its street food. There are literally dozens of cheap eating places, especially for curries and such like as over 50% of the local population come from Pakistan or India. Try delicious Punjabi curries, biryanis and freshly cooked roti’s as a real change from the posh fusion food in expensive restaurants. This is an art lover’s paradise in Dubai where several organisations have come together in the industrial quarter surrounded by mechanical workshops. Tucked away in a complex of warehouses on Alserkal Avenue an oasis of calm presides over the galleries in contrast to the everyday noise outside. It is now the most important Arts District of Dubai and has grown rapidly in support of the Middle East’s growing art scene. The art galleries each host an individual artist or style of art and some of the displays include furniture and sculptures as well as paintings. The complex is also home to The Fridge which supports and engages local talent in the performing music and arts scene to supply entertainment for private and corporate sectors. A walk through the Dubai Mall will take you past the Aquarium and Adventure Water Park where among the 33,000 creatures living in their watery world are more than 400 rays and sharks. To get up close and personal with these exciting creatures you can go down in the 10 million litre tank accompanied by an experienced diver to swim with them. The Sand Tiger shark has 300 razor sharp teeth and weighs around 750 pounds and they are waiting for your visit. 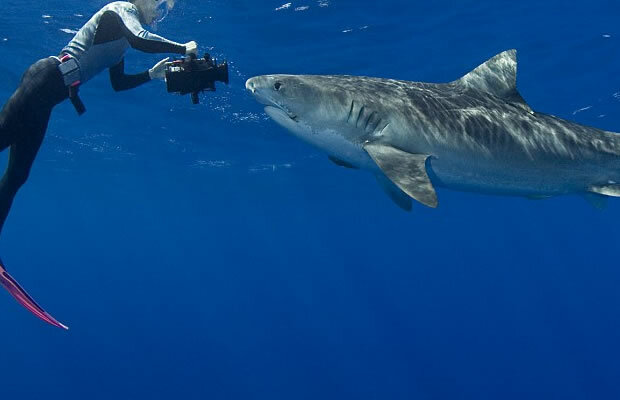 This is an experience that can be enjoyed by not only those without any diving experience but even non-swimmers can enjoy the thrill of seeing these creatures face-to-face.